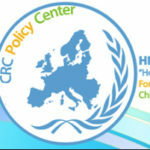 Sofia Leitão is the Director of the Research & Development Division, responsible for coordinating the activities of the R&D team of “Hope For Children” CRC Policy Center. Her responsibilities include writing and coordinating grant applications ; management, development and implementation of projects, including those funded by the EU; collaborating with the Director General and the Director of the Humanitarian Division in different areas such as strategic planning, staff performance and implementation of programmes. She's been collaborating with "Hope For Children" CRC Policy Center since 2012. Sofia is a sociologist. 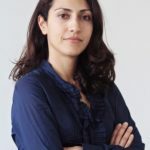 She holds a PhD in Media Studies and a MA in Journalism Studies from the School of Journalism, Media & Cultural Studies, Cardiff University (UK), and a licenciatura (five-year university degree) from the University of Porto (Portugal). Her doctoral and master thesis look into childhood & media focusing on representations of childhood, cultural diversity, and children’s social agency. She is the author of a book on media discourses and childhood constructions (Leitão, E.S.A. 2008. Desenhos Animados – Discursos sobre ser criança. Lisboa: Edições 70). She is an experienced project manager and researcher who has collaborated in several publications/projects at national and European level. Sofia has a particular interest in children’s education with an emphasis on storytelling and the use of media and arts as means to enhance self-expression and learning. She has worked as a sociologist for local authorities in Portugal, researching issues related to social exclusion and vulnerable populations; as a lecturer at ISCEM Lisbon, where she taught Theory of Communication, Research Methods, and Sociology; as a teaching assistant of the module Approaching Media Images, at the School of Journalism, Media & Cultural Studies, Cardiff University; and she worked as a PA to the Ambassador of Portugal to Cyprus, Lebanon and Syria.